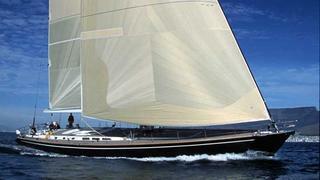 I've just learned that the 28.4m sailing yacht Thalima has had a price cut at Pegaso. Built at South Africa's Southern Wind Shipyard in 2001 to a design by Farr Yacht Design, this superyacht is RINA classed and accommodates up to nine guests in a master, two doubles and a triple cabin. A powerful 370hp Lugger engine gives her a cruising speed of 10.5 knots and a range of 2,000 nautical miles. Thalima is now asking €3.25 million, VAT paid.